I like it when Postie brings parcels, anything but bills really! Here is a quick round up of what he delivered today. 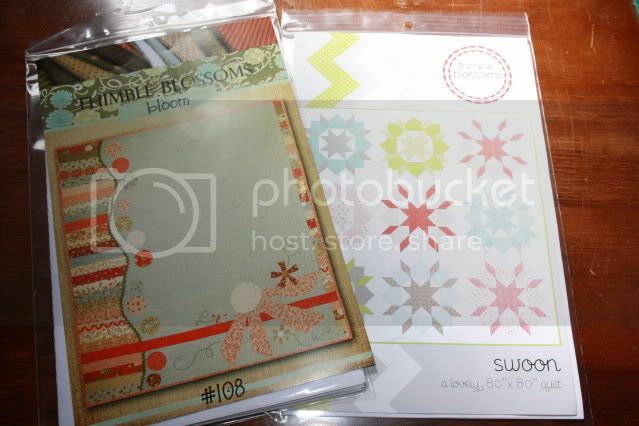 I have been "Swooning" over the Swoon pattern by Camille Roskelley recently and with more and more of it popping up in Blog Land I bit the bullet and purchased it, but whilst I was on Camille's site I also grabbed her Bloom pattern, just couldn't resist. Swoon is now on the top of my ever growing "to do" pile. 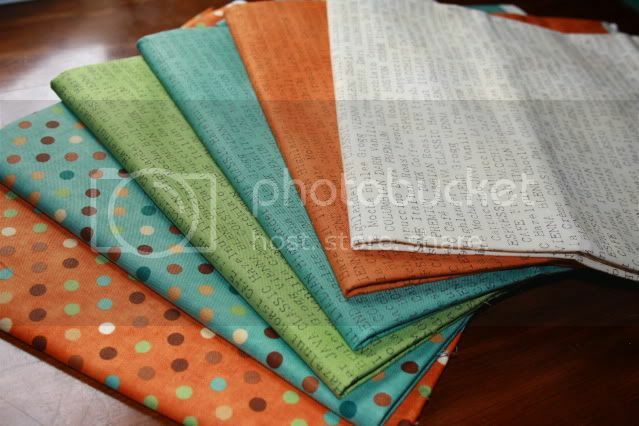 Just need to decide what fabric I want to use. 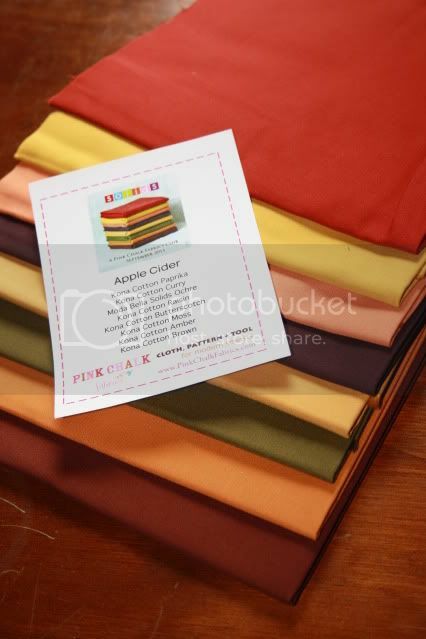 Last month I joined the Monthly Solids Club over at Pink Chalk Fabrics This is the September bundle, Apple Cider. Last month was Hot Summer Nights. 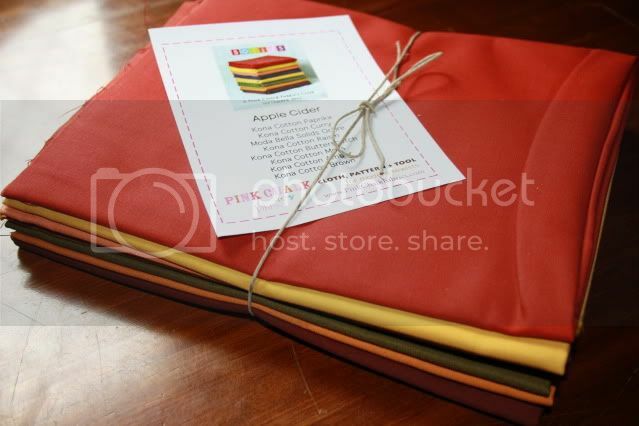 I figure this is a great way to build a stash and add to my solids. I write on my mini bolts what they are so if I need/want more I know exactly what it is/was. I also have a thing for Word prints and coffee, so of course I had to have these. 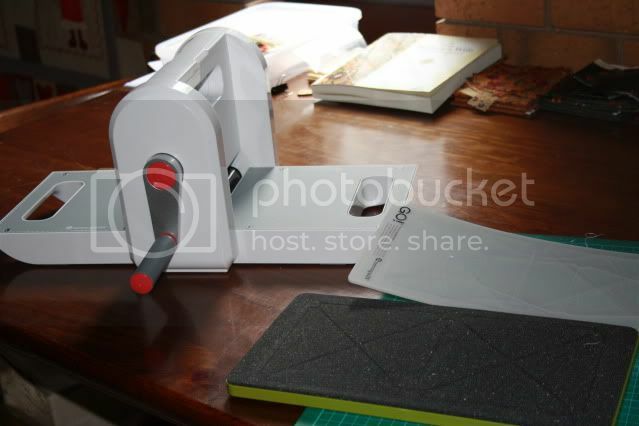 and started cutting some scraps of fabric.... such an easy thing to do with the Go Baby and toddler laying on the floor drawing, and in no time at all had a bundle of fabric ready to go. We starting laying it all out and come up with this ...... I still do not know where the two missing triangles went (top left hand cnr) ? ? ? When Miss L went down for her afternoon nap I ignored the housework and ironing and went back and sewed it all together. 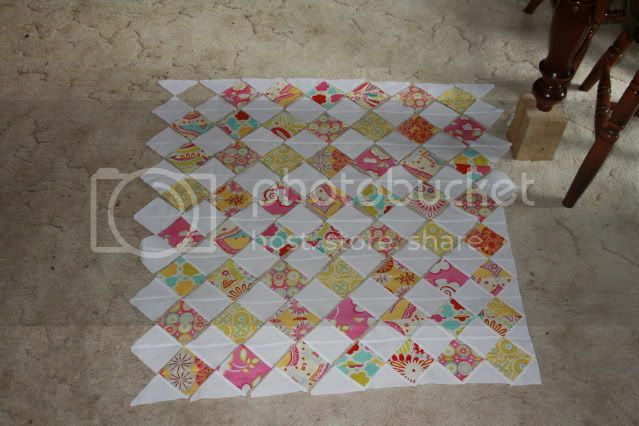 The end result was a small quilt for Miss L to host her tea parties on this summer outside with her favourite Dolls. 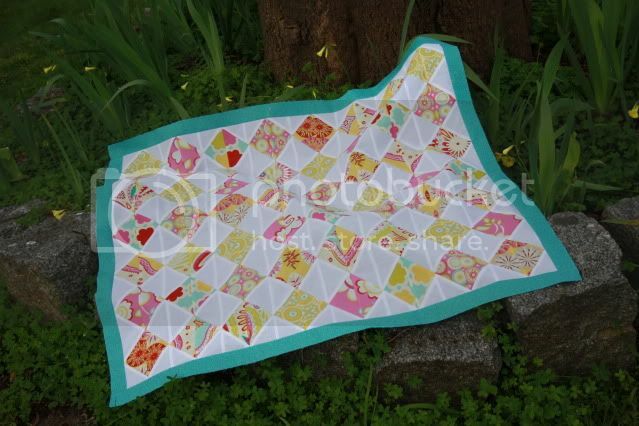 I am doing a "Beginners Quilt the Quilt" course next month and I think that this quilt will be one of the first ones that I can play with after that. 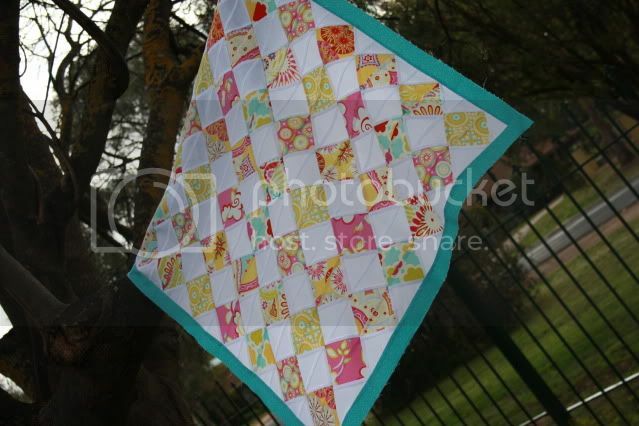 I love that little quilt top - so fresh, and so quick!! And what a lovely selection of goodies that arrived at your door! Beautiful purchases. 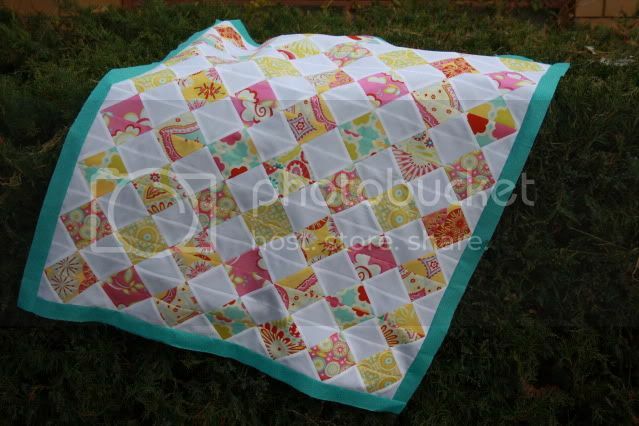 Your new quilt is gorgeous, you are so clever making a new quilt so quickly!